KXCI On The Air: Madeleine Peyroux at The Rialto Theatre this Saturday - KXCI Presents! Madeleine Peyroux at The Rialto Theatre this Saturday - KXCI Presents! KXCI Presents! Madeleine Peyroux at The Rialto Theatre this Saturday August 3rd at 7pm. Madeleine Peyroux’s classic jazz voice has taken her from busking the streets of Paris to mainstream recognition with a style that covers pop, singer-songwriter, blues, folk and jazz. 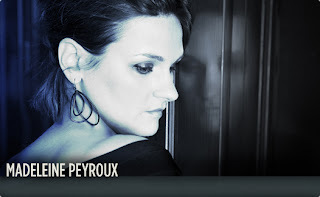 Through intensely distinctive renditions of old classics and modern tunes by the likes of Leonard Cohen and The Beatles, Peyroux has proved to be an uncannily insightful ‘interpreter’ with her consistently impeccable choice of material.